Are you looking for an authentic sports card look? 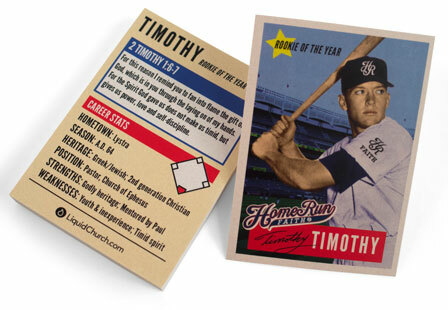 These uncoated trading cards are printed on 2.5" x 3.5" uncoated card stock, giving them a more natural finish. The ink that's on the card is absorbed into the paper resulting in slightly duller colors. Because they are uncoated, it's easy to write on them with a pen or pencil without smudging. Trading cards are great for your business, your sports team (Hockey, Baseball, Basketball, Soccer), or your organization! Attract new fans and customers with trading cards.